This bohemian, Jerusalem Mills engagement session is one for the books. The Passion. The Romance. The Love. The Affection. The happiness. The laughter. The Warmth. The Pure Emotion. The Sweet Innocence. The list could go on and on about everything I absolutely LOVED about this session. If someone were to ask me why I love what I do, I would have to respond with the fact that, I just love, love! I know, I know, it sounds so cliche; but truly there is nothing I love more than capturing a photo that is so full of pure emotion. A photo of two people who are so deeply in love that their love for each other (and in this case their baby boy as well) just pours out of their every move. Cortney and Brandon are that couple. They started off by saying they were going to need some direction in posing… well they were wrong. 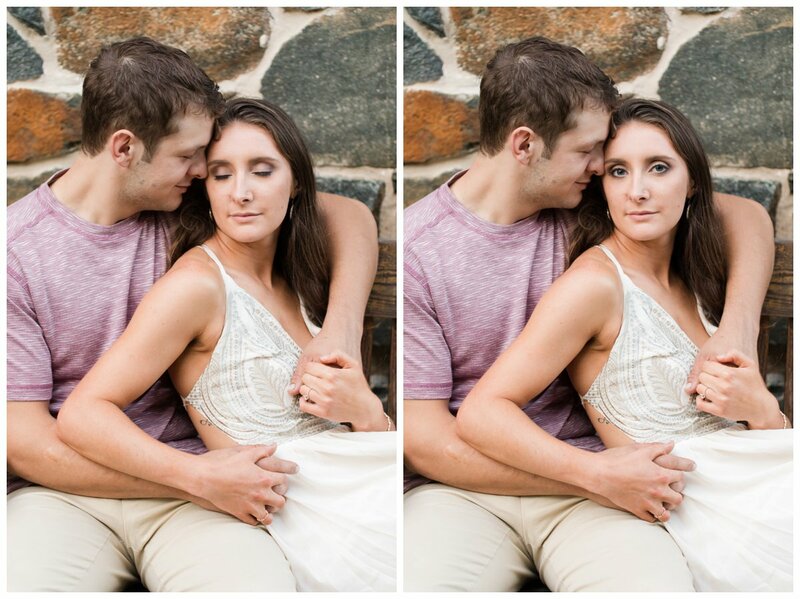 Wrapped up in their love for one another, Cortney and Brandon were so comfortable with each other after only a few short minutes into our session. They definitely made my job easy. I was so happy they brought their adorable son, Jackson, along as well. 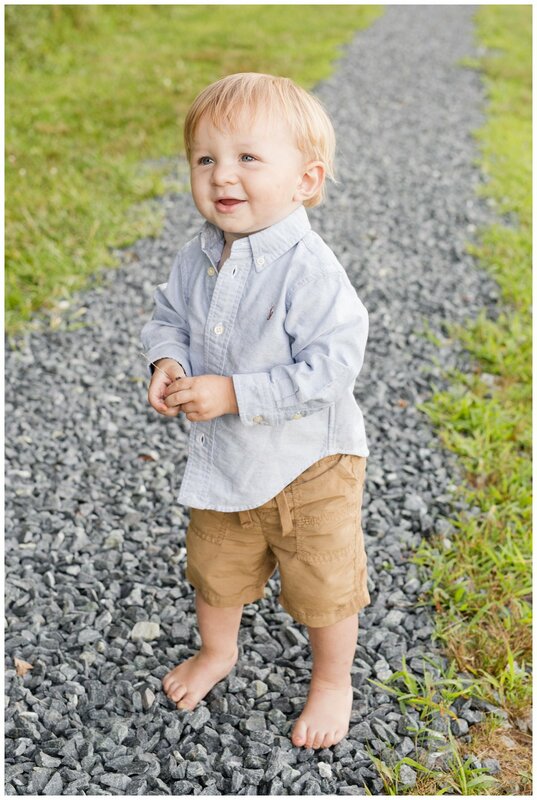 It took him a while to warm up to they stranger with the camera, but a little goofing off with Mom and Dad had him smiling and giggling for sure! A quick outfit change resulted in a gorgeous bohemian dress that Cortney wore as we went down by the barn as well as to the creek. 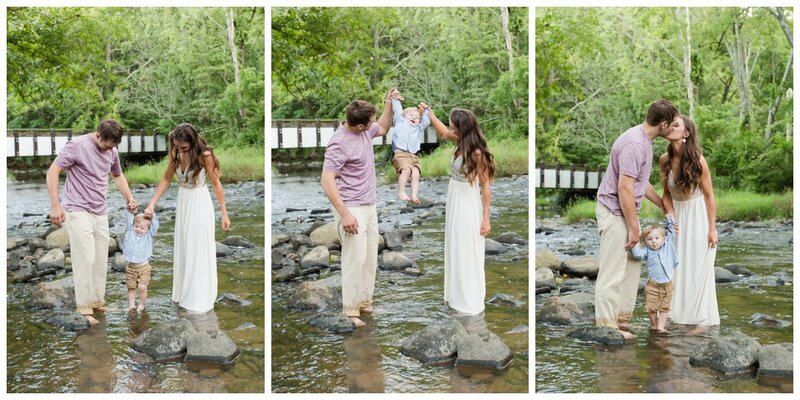 I was so excited when she told me that she wanted the two of them to get into the water for a few shots. I can’t believe we only have a few weeks left until the two of you are married. Your beautiful bohemian wedding day will be so much fun to photograph. Love this session! I can’t wait to see how perfect their wedding day is going to be!! Great work, Valerie! 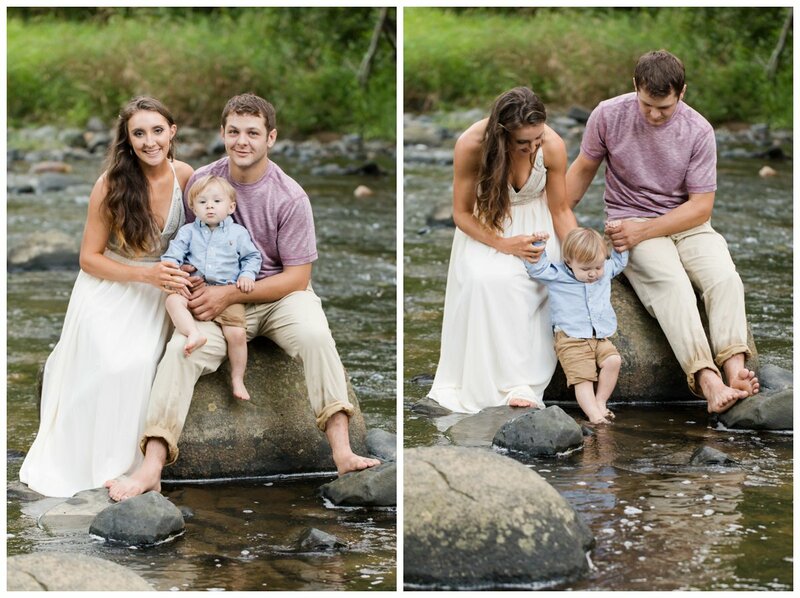 I love the addition of their little boy and that awesome truck! So fun!